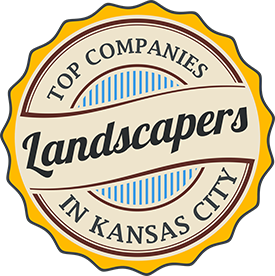 Each of our knowledgeable turf technicians have over ten years of on-the-job experience. We are able to identify problems that may occur, and adjust our treatment program to meet the specific needs of your lawn. All of our lawn treatments on our standard program are guaranteed, or we will return for a follow-up service at no charge. Pre-emergent for crabgrass and other grassy weeds. Fertilizer for an early green up. Broadleaf weed control for dandelion, clover, etc. Second pre-emergent for crabgrass. Second broadleaf weed control. Balanced fertilizer for a healthy summer lawn. Spot treatment for broadleaf and grassy weeds. Slow release fertilizer to safely feed the lawn through the summer heat. Also, we apply the grub and subsurface insect control to prevent turf damage is applied at this time. Fall broadleaf weed control to reduce active weeds for the following spring. Winterizing fertilizer extends your lawns green appearance into the fall and promotes an early green in the spring. 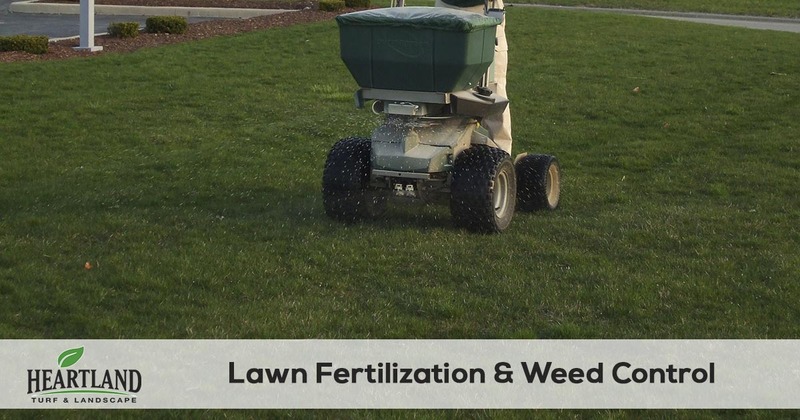 This is the most important fertilizer of the year for a healthy lawn. Nutsedge Control – Also known as nutgrass and watergrass, this weed has increasingly become a problem in recent years. Multiple treatments may be necessary if you have a large infestation. Preventative Fungicide – This treatment prevents damage caused by turf diseases. Curative Fungicide – If the preventative fungicide treatment was not applied, and disease develops, this treatment will stop further damage. When you are ready to have a greener and healthier lawn you can count on Heartland Turf & Landscape. To get started simply fill out our get a quote form or give us a call at 913-238-9278.